Sports these days require a lot of discipline. In addition to the athletic ability, there is a lot of tactical play which is important as well. There are a lot of tools and analysis that coaches and teams use to ensure that they can create the best strategies for the game, and implement them accordingly. Sports boards are very important devices used these days to plan and showcase sports tactics. 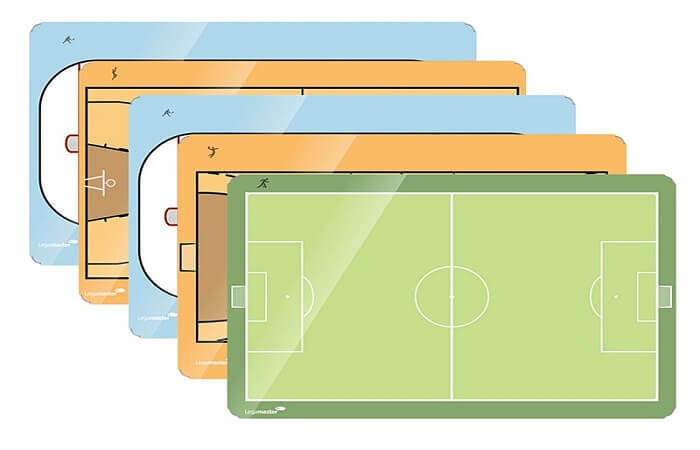 These are tactical boards that can be used to show various formations, plans, and tactical play options. Today, you can find a lot of these boards available for various sports. They are pretty popular for basketball, soccer, football, handball and a lot of other team sports. You will often see these boards on TV when the coach tries to explain strategies and plays to the players. These are easily available in various forms, you can get larger ones to plan while training, and at the same time, you have fold-able options which allow you to carry them as more compact tools to be used during the game. One of the most common forms available, these boards have magnetic pieces that can be placed on the playing field. These are usually accompanied by markers and erasers which can ensure that the coach can create plans and then change them around or completely erase them to explain new ones. You can also find versions with a magnetic board on one side and A4 size plain paper on the other. This allows the coach to ensure that while there are temporary plans explained on the board itself, there are more permanent depictions on the paper. In case you are looking for additional pieces, you can always opt to buy more magnetic pieces in order to ensure that the plans that you want to chalk out are clearly explained. These are extensively used to give players references of what is expected of them and how they can control the game. It is one of the best tools to help players understand their role and excel in the same. There are a lot of teams that also opt for customized sports boards. These boards can carry logos or motivational quotes. These can be motivational for the players and can help them gain inspiration during the play. Coaches try to incorporate the best possible aspects of motivation and tactics on these boards so that they can help enhance the performance of the players. When the players are constantly reminded of the tactics and the ultimate goal that they need to achieve, it definitely has an impact on their psyche and gives them the motivation to go the extra mile and enhance their performance in times of need. Most of the boards are very sturdy, hence they can handle quite a bit of wear and tear along with some rough handling and heavy treatment. No one expects sportsmen or coaches to have nimble hands, and hence sports boards are designed to ensure that they do not break easily. Many times, these boards are great reminders of what the team is set to achieve and how they intend to achieve it. In the time of televised sports and amidst a lot of pressure of performance, players need that little extra help and motivation. With the sports boards, there are a lot of messages that can be passed on to players without the coach actually being verbal. This not only helps the player by saving him/her from a strong talk from the coach but also inculcates a sense of responsibility which ultimately leads to improved performances. sports boards devices used these days to plan and showcase sports tactics.